Surrey County Cricket Club (CCC) has received full planning permission for the redevelopment of its Kia Oval ground, which will increase the venue's capacity to 28,000. The project will see a new three-tier stand built in between the existing Micky Stewart Members' Pavilion and the Peter May Stand, which will introduce a range of new facilities - from conference spaces to hospitality areas. Construction on the stand, designed by architects Rolfe Judd, will begin in October 2019, following the conclusion of the cricket season. Work will be phased over 18 months and is due to be completed by the start of the 2021 season. As well as extra seating and rooms for conferencing and events, the new stand will include two roof terraces. "This new development will add a significant number of extra seats, alongside new facilities to further improve people's experience when they watch cricket here," said Surrey CCC chief executive Richard Gould. "It allows us to increase the capacity of the ground to nearly 28,000 and will hugely improve the facilities available for holding conferences and events at the ground, a side of our business that has multiplied many times over in recent years and now has the opportunity to move to the next level." Last year, Surrey CCC revealed it was working on development plans which would make the Kia Oval the largest cricket stadium in the UK with a capacity of 40,000. 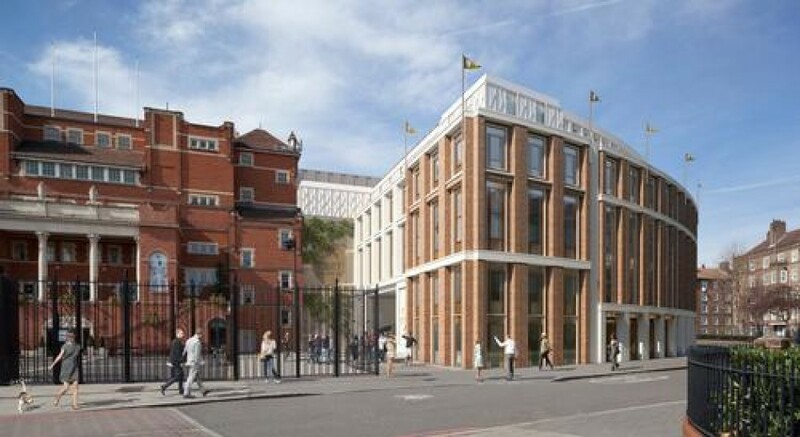 The club aims to complete the project in time for the Ashes in 2023, with the centrepiece being a replacement for the Bedser Stand which could add up to 8,000 seats - as well as an enlargement of the existing OCS Stand. The ground currently has a capacity of 25,500, having already increased permanent capacity by 3,000 over recent years.